Dreaming about #vanlife? Who isn’t? All the dreamy sunsets, amazing views and constantly changing scenery associated with the trendy nomadic lifestyle could seduce just about anyone. It’s enough to make you impulse-buy a used van on Craigslist only to stare at it with a sudden realization that you have no idea what you’re doing. 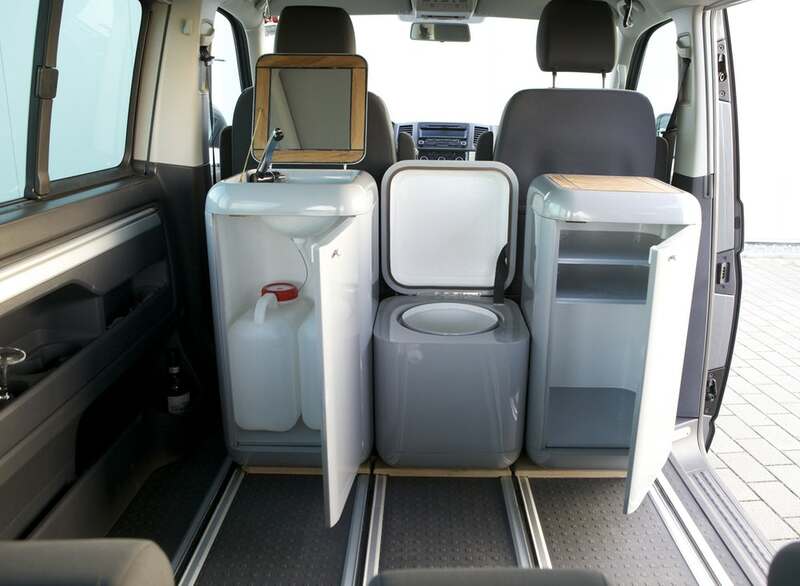 Completing a DIY van conversion can be as simple as throwing a mattress and some camping equipment into the back or as complex as tearing out the insides, insulating the walls and adding all sorts of built-in elements. If you take the latter route for the sake of convenience and luxury, you might have months of work ahead of you. But what if you could just toss in a modular camping kit and be on your way? 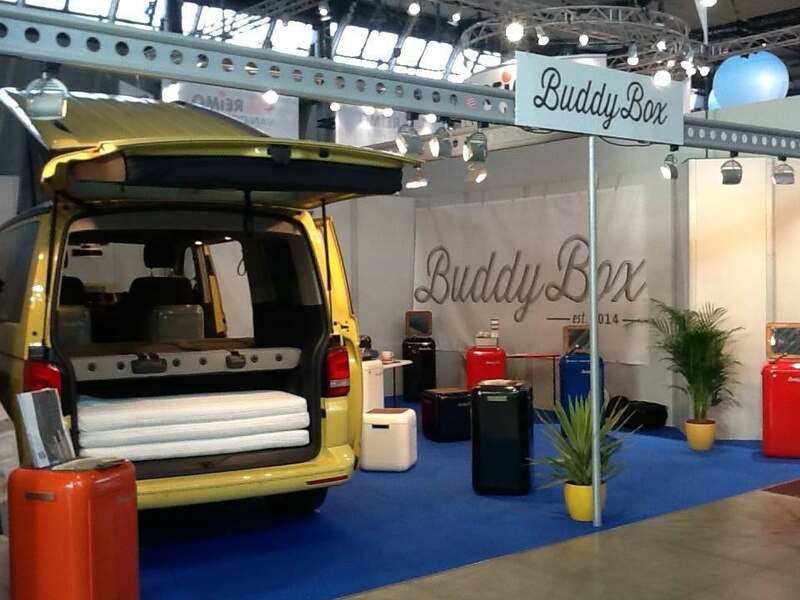 Van life is suddenly a whole lot more accessible with products like the BuddyBox system, especially since the modular components let you pick and choose what to bring along. Vans are pretty small, after all. 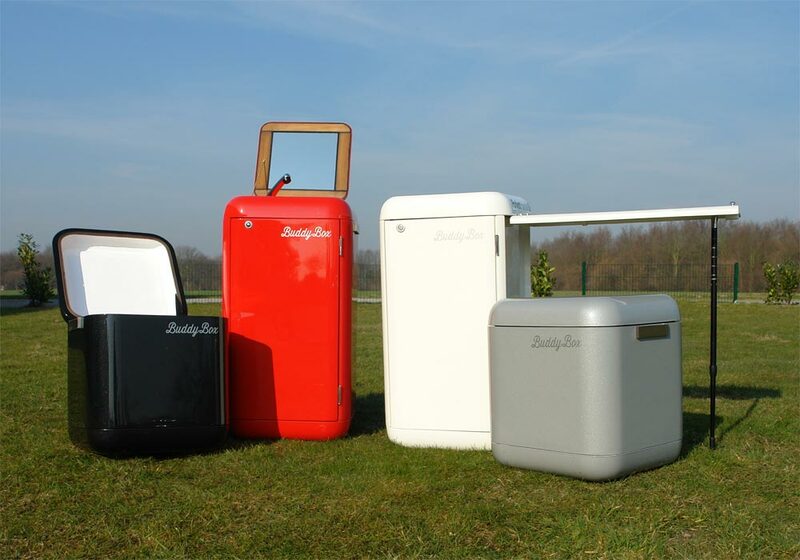 Made of water-resistant composites and teak wood, BuddyBox offers lightweight individual sink, toilet, grill, refrigerator and other modules in compact packages. Toss the ones you need in and leave the others at home. Designed by German architect Gerhard Euchenhofer, the BuddyBox system is made up of a series of small rectangular or square boxes with specific individual functions. They’re small and light enough to move in and out of the van for each trip, and can be pushed out of the way to accommodate a mattress or other gear. 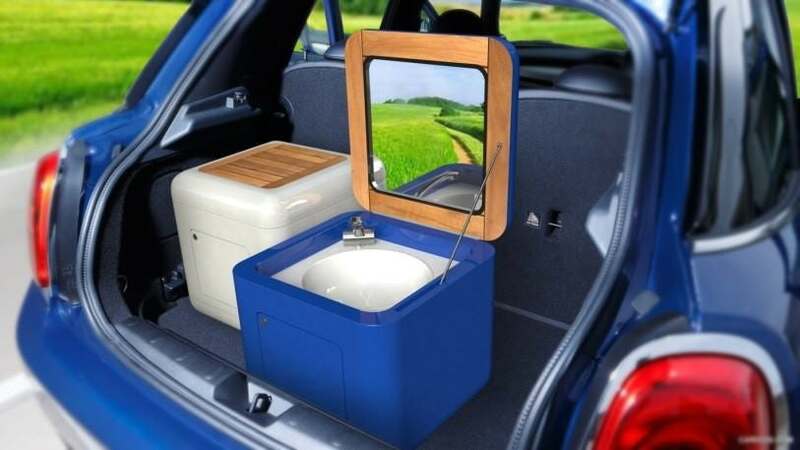 You could also take them along in the car for camping trips and use them on boats or even in dorm rooms. Sold a la carte, the modules include a washBuddy, pottyBuddy, spaceBuddy for storage, cookBuddy, fridgeBuddy and BBQbuddy. The shorter units can double as seats, while the taller ones feature pull-out surfaces for dining and food preparation. The max weight for the largest box is 26.5 pounds. The modules are ideally suited for vans with integrated floor rails, and include mounting hardware. A beer tap Buddy and speaker Buddy may be coming in the future, along with package deals when purchasing multiple units. Suddenly, you’re a whole lot closer to your dream camper conversion. Check out the whole selection at BuddyBox.de.